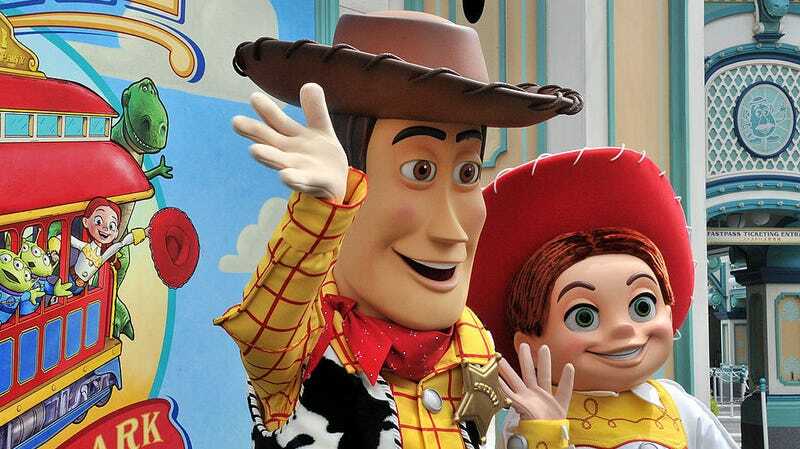 Toy Story’s human boy, Andy, is back for the latest installment of the series and he looks, well, different. After watching the fourth movie’s trailer and seeing his strange, mid-’90s CG face now altered into something less immediately horrifying, fans have had strong reactions to the latest sign of change coming to a film series largely about...characters dealing with change. For the most part, the internet despises their new computer boy, finding his more human-like proportions too much of a departure from the horrendous doll-thing that was Andy in prior movies. Those willing to look at the new Andy design as what it is—an attempt to save a new generation of children from night terrors featuring a dead-eyed, humanoid puppet monster rummaging through their toys—are quick to point out the fresh look as the improvement it so clearly is. Falling outside of either camp, there are those desperate to hold onto even the most terrifying of childhood memories by spinning theories that Andy 2k19 is actually the son of the original Andy. This idea has already been pretty well debunked, though. Unless Andy Sr. is the very specific breed of maniac who forces his kid to both play with the toys of his youth and decorates his room as a 1:1 replica of his own, this is the same kid, eternally frozen in time. This likely won’t stop nü-Andy’s detractors from trying to find some explanation for why he doesn’t look the same as he did in 1995, however, so let’s present a final, much more plausible theory for the change. Each Toy Story’s Andy is a slightly improved clone of the previous character, born from a vat in his suburban home’s basement to forever play in his room as time marches onward.